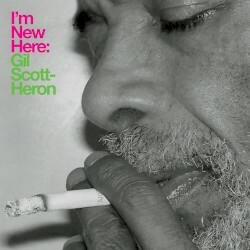 It's been a long, hard road to redemption for Gil Scott-Heron, the influential musician, poet and author, whose last full-length album, Spirits, was released 16 years ago. In the interim, he's been in and out of jail on various drug-related offences, his taste for narcotics sapping the creative impulses that once burned so brightly. Scott-Heron's saviour came in the unlikely shape of XL Records boss Richard Russell - the man responsible for rave classic The Bouncer by Kicks Like a Mule - who offered to produce an album by the singer during his stint in Rikers. Their collaboration is bookended by a cracked, two-part reminiscence of Scott-Heron's roots titled On Coming From a Broken Home, which is based around a typically fastidious piece of wordplay. There's a wonderfully circuitous spectrum of influences at work on the song - Kanye West has sampled Scott-Heron in the past, this track is built from a refrain from the hip hop star's Flashing Lights, which borrows from a song by Scott-Heron's peer in the 70s socio-political music scene, Curtis Mayfield. Scott-Heron has an intuitive way of grasping work written by others and skewing it to fit his own austere worldview. He covers Bobby Bland's I'll Take Care of You and Robert Johnson's Me and the Devil, but the most surprising addition is the title track, a version of a song by downcast indie rockers Smog. Scott-Heron appropriates the piece for his own use, as a way of reintroducing himself to the world ("No matter how far wrong you've gone, you can always turn around," he muses), while also addressing the past ("I had an ego on me the size of Texas. I forget. Does that mean big or small?"). He continues to dissect the past and realign himself with the present throughout, carefully pouring all his life experience into every syllable and drawing on the triumphs and aberrations that shaped him. Meanwhile, Russell is careful never to intrude, instead using deathly silence and the dolorous thud of treated drum sounds to provide a stark backing. The one shaft of light that pierces a hole through the centre of the record is New York is Killing Me, which approaches something resembling exuberance via the upbeat clop of a handclap-driven beat. I'm New Here is an unlikely but triumphant return, packed full of sadness, experience and an underlying feeling of someone making peace with their mistakes and regrets.